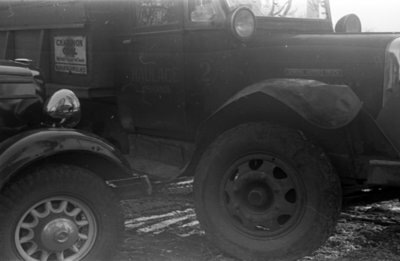 A black and white negative of a car and a large truck that have been in an accident. View is of the side of the truck and the front end of the car. Car Accident, 1937, Marjorie Ruddy. Whitby Archives A2013_040_126C.